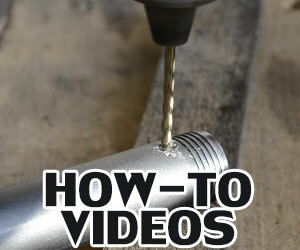 The Go Gauge Light is a simple but very interesting accessory to install in your 12-gauge shotgun. 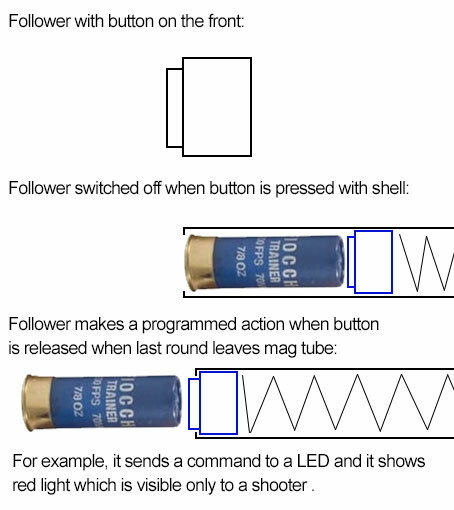 It is basically an upgrade of the existing factory follower in your shotgun. 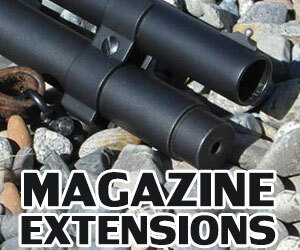 With the Go Gauge Light upgrade, you will be getting an additional function to your shotgun. It will now have an illuminating red color coming from the magazine tube which is easy to see in the dark. 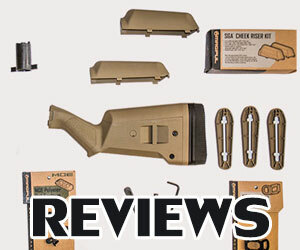 Product being Reviewed: The Brownells 20-ga REM870 Magazine Follower, p/n: 080-000-238 – Description: “REM 20-ga Alum Orange Mag. Follower”. You can get more reliability out of your Remington 870 shotgun if you upgrade its carrier dog spring, or sometimes called the carrier latch spring. 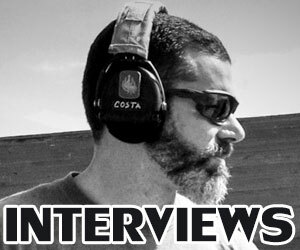 Sometimes you will find that your shotgun has feeding problems which will make it unreliable when shooting it. But if you were to use a heavier carrier dog spring then it will fix these feeding problems and improve the gun’s reliability at the same time. 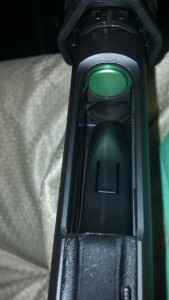 The spring does this by lifting the next round of ammunition after it comes out of the magazine tube. If the rounds don’t get lifted properly then you won’t be able to keep shooting your weapon. This could put you at risk if you’re in a situation where you need to defend yourself. That is why Remington 870 Police shotguns are the most reliable because they use the best carrier dog springs. If you want to put one of these springs in your Remington 870 then you can get it from model 1100, part number F16966. This is the exact carrier dog spring used in the police version of the Remington 870, but the spring is also compatible with other Remington 870 versions. Bought, installed and tested HFD2 Compression Follower. I really liked gold color but it is similar to color of shell, so bright colors are better for safety reasons. 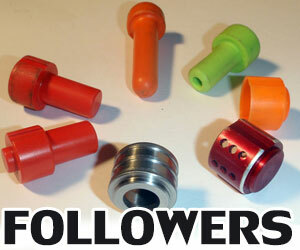 This follower fits Benelli Nova, Nova Tactical & Super Nova in 12 Gauge. It is good alternative to Nordic Components followers. HFD2 Compression Follower has tail which prevents spring from binding and kinking. Machined from 6061 T6 Aluminum which is lightweight and corrosion resistant. I was thinking about a follower for a shotgun which would tell you when magazine is empty. It would save you time during gunfight and those seconds can be critical. Also, it would be useful for competition shooters which have to reload a lot. Here is my idea which is extremely simple. Unfortunately, I don’t have time and money to develop it. It would be great if this idea will be useful for someone and this idea would be implemented. Shortly after I purchased my 870 Express Tactical with the factory 2 round magazine extension I noticed issues with the follower binding. I would load 6 rounds into the magazine, but occasionally when firing only the first two rounds would be fed from the magazine. I took out the tape measure and found that it was stopping when the factory magazine follower was passing the union between the standard magazine and the magazine extension. We have lots of interesting discussions there, join Remington 870 forum now!